With over 17 years in IT and multiple fields of computer programming, we are now providing our experience to those who need it, whether they are after IT support or simply another opinion on a topic. What is consultancy? It varies between different needs whether its for business or personal situations, but essentially it means you ask a question or describe what you would like to do and we describe how it can be done, as well as provide advice and support to make sure that everything goes fine along the way. As a part of what we do, you can keep track of the progress of support or consultation requests through this page. If you would like to know more, just send us a quick post with a few questions and we can go from there. EDIT:We have included a zip archive of all files hosted on GitLab for those want to download the complete source code of this website without having to use git. After a long month of fixing critical bugs, the first public version has been finally completed. - Improvements to the editor. The markdown parser recieved a bit of attention. While only a handful of markdown features made it in, enough formatting tools are available to give a document more meaning. - Attachments are handled better. Along with editor improvements, if an existing attachment is accidentally deleted it can be undone before the edited post is saved. New attachments however, are immediately deleted when requested. - Messages you have sent are editable. No matter how far back in time a correction needs to be made, individual messages in a conversation can be edited or deleted. - Permissions now have presets. Commonly used permission scenarios can now be set with presets. Of course if anybody needs to finely tune a post's permissions, they still can access the advanced permissions dialogue. Improved email handling. 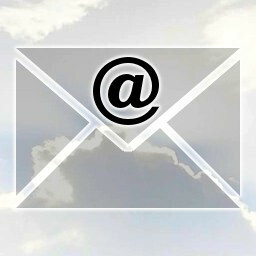 Filtering of incoming emails with virtual mailboxes, and various methods of navigating large volumes of email. Being able to send and receive attachments via email. Websockets for the live updating of posts, statuses and messages. Semantic web integration. Will allow for a more personalised experienced and advanced content handling. Core of the functionality of a web page changing its behaviour depending on the content being displayed. Sign up and use it. Simply using Mirror Island and giving us feedback can be a huge help. You don't need to provide your real name or an email address to register, and accounts can be easily deleted. It is fast to sign up and start posting here, so go ahead and have fun! Let us know if something doesn't work. This can be either a bug or a usability issue. Bugs are actual software errors while usability issues aren't actual errors but affect how people can (or can't) use this website. Both are equally important to take care of. To report any bugs, follow the link on the bottom of this page for Report a Bug. Suggest new features. We really like to hear what others would want to see added. A lot of features are already on our list and we will be writing up a roadmap to let others know what will be implemented in the future. Also, the roadmap will give everyone an estimate of how long a task or new feature would take to complete, and when. Spread the word. Attracting new users and describing this project to others is another huge way to support this project. We have a very limited advertising budget, so word of mouth is always very helpful! Start a group. Use this website to organise and promote local groups. This is another area of practical use which can give us feedback for what does work and what needs improvement. Run a copy of this website yourself. Set up a copy yourself, see how the code works, and let us know what you think! An in-depth analysis of how easy (or challenging) it is to set up a copy of Mirror Island is also valuable. The entire source code can be downloaded from the GitLab link listed above, or with the zip file attached to the bottom of this post. Minor bug updates affecting usability have been uploaded. Gotta admit, things have changed a bit since these screen shots were taken. The article has been echoed multiple times on the internet, and describes the detrimental effects of too much blue. While the colour itself does have a reputation for feeling "cool" and "polished", it doesn't have the same warm and friendly feel as orange or some greens, depending on the colour scheme being used. So if at any time it appears that the colour scheme on Mirror Island seems out of place, we're exploring a warmer world. It's for the best. This is web site people can post and share stuff on. Since there are literally thousands or websites that already do this, most people probably wouldn't notice this one. But we have built it anyway. Because we needed something different. Really different. We use Mirror Island to keep in contact with the people we wanted, in the way that we wanted. So far, nothing has really been a proper fit for our own needs. However, if others were going to use this web site we took that in mind as well. We aren't designing this to be a social network; that's web 2.0. Instead we're designing this for the next level, web 3.0, and are building this to have the semantic web in its genes from the start. - Control: Anything posted can be edited or removed by the person who posted it. - Speed: We wanted it to be fast both in usability and in performance. - Practical: Most of all, any features we add to it need to be useful. With those principles kept in mind, we could then turn our attention on what this website and (eventually) its related network-enabled apps do best. At its core, Mirror Island lets you share just about anything such as a simple idea or message to the world using posts that allows photos and files to be attached like an email, but publicly visible. We didn't want it to be limited to users on this website and wanted a system that would work whether other people were on it or not. We have found other services claim to "connect people" but only if the people you want to connect with are already on the same service in the first place (or were subsequently invited to sign up.) We wanted a system where people didn't have to be a member to interact with or contact other users on here, but also put the necessary features to prevent users on this site from being unnecessarily spammed either. In terms of control, we wanted anyone who uses this website to have complete control of whatever they publish or post, including editing and deleting anything put in public or private. It was an idea that we played with where anything can be edited or deleted. Even instant messages sent a long time ago could be modified or removed, and that is one of the biggest advantages of a digital world; nothing is set in stone forever so it shouldn't be treated that way. The speed of posting and editing were also heavily invested in. From sign-up to first post, and searching through posts, we took the approach where if it took more than a few seconds to do something, change it, and if it can't be changed, then we removed it from the primary toolchain. An example is where fine-grained controls are hidden behind presets; the presets are faster to use and adequate for most cases, but the fine-grained controls are still available for those who don't mind the extra time in setting up a post. Lastly, it needed to be useful. One example is when we needed a quick and easy way to transfer photos from a mobile phone to somebody else's laptop. The email-style post editor was more of a scratchpad of sorts, but it worked reliably. Every time on every device. At the start it felt like a half-hackish workaround because we didn't install an app that would of made the process more streamlined, but we found the more we used it the quicker it was to transfer files and photos between devices. - The mobile compatibility of this site is rather poor, making use on a mobile phone not as easy as we would like it. - There aren't any websockets or long polling feature yet, a reload button is on the top of the page but only refreshes sidepanel instead of visible posts. We are currently writing our own. Therefore, instant messages aren't really instant but they can be reloaded when clicking on a contact's name in the sidepanel. - Mark down formatting is limited to basic lists (like this one,) primary and secondary headings, as well as strong and emphasized text. Some combinations don't like to work, such as a list immediately after a heading. - The email interface isn't very comprehensive. Individual emails are displayed as separate items in the sidebar, leaving a crowded list of messages to scroll through. As for bugs? You bet there are! But this project is just the beginning, so we're open to feedback from anybody interested in using this. Thanks for visiting! You can keep up to date with how this website is progressing on our profile page, Sam and Janis Allen.